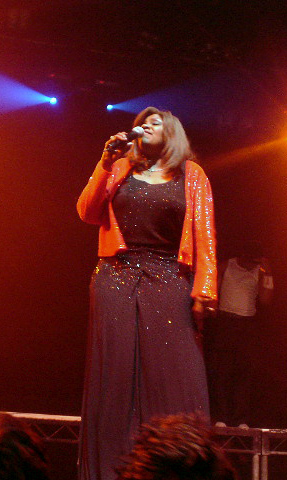 Gloria Gaynor (born Gloria Fowles, September 7, 1949 near Newark, New Jersey) is an American recording artist and musician. She performed disco in the 1970s. She is best known for her classic song I Will Survive. Gloria Gaynor Facts for Kids. Kiddle Encyclopedia.